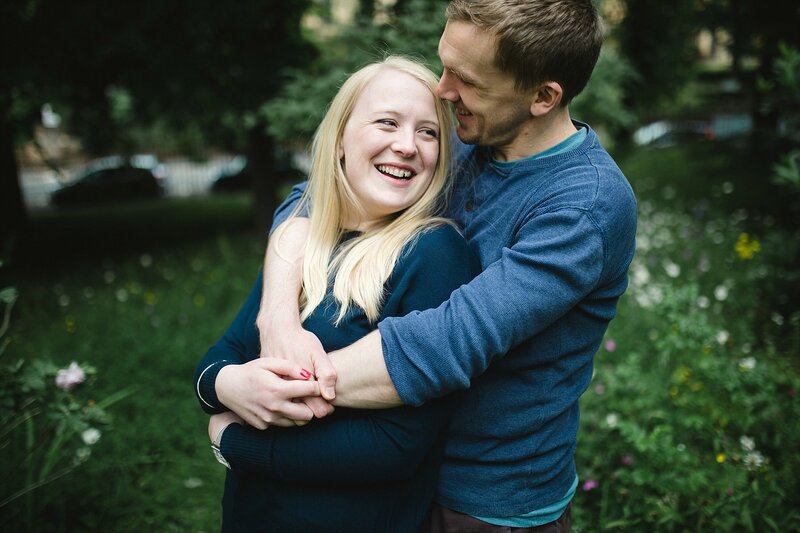 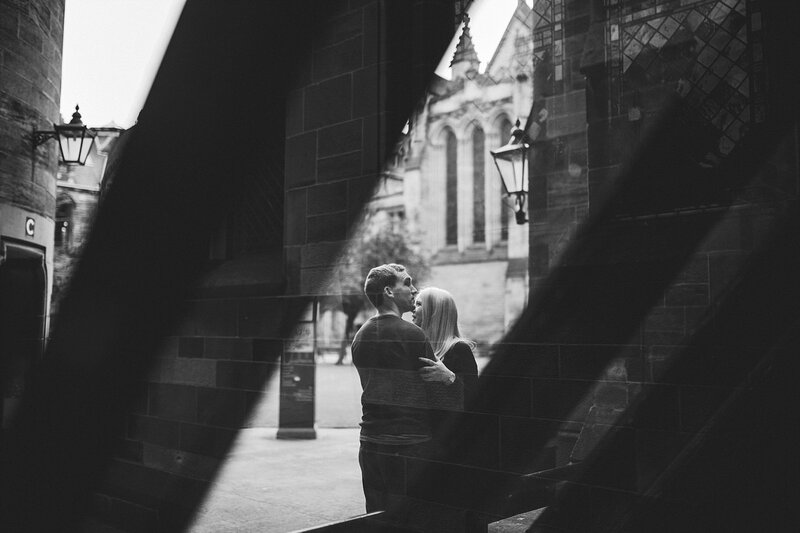 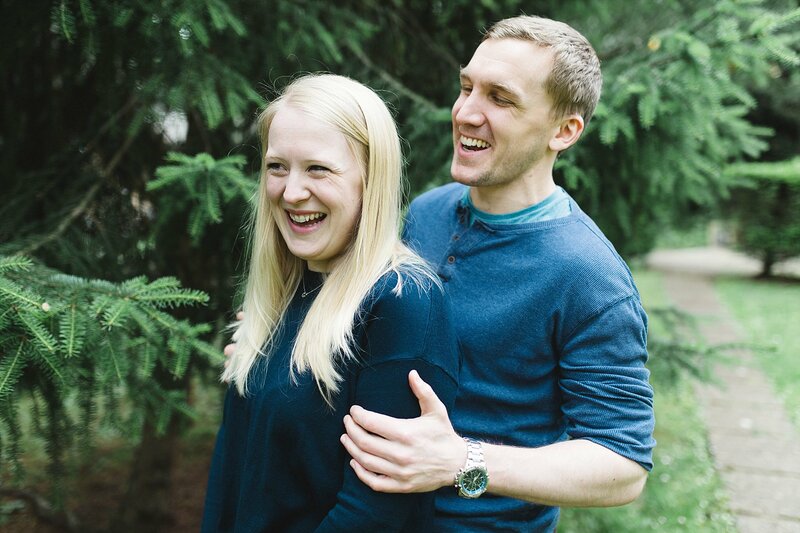 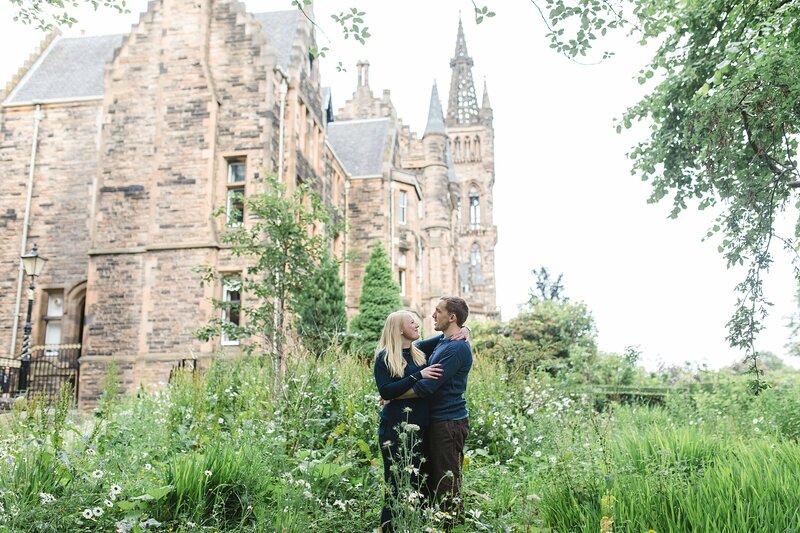 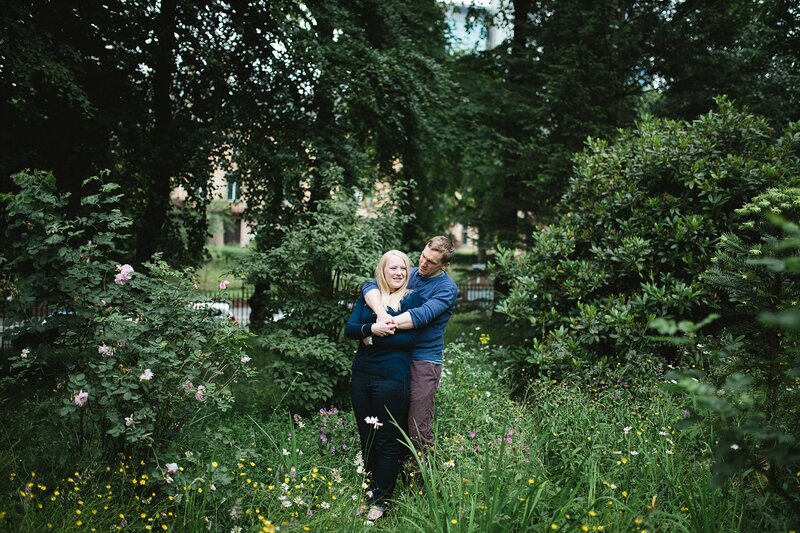 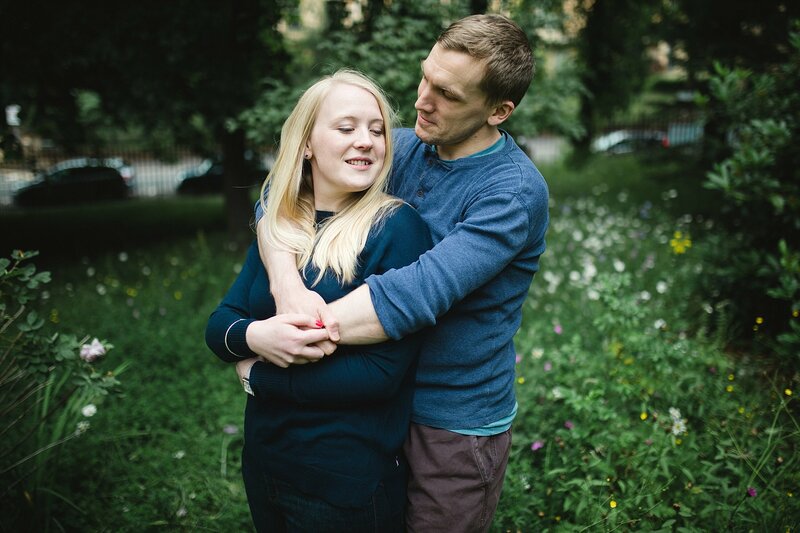 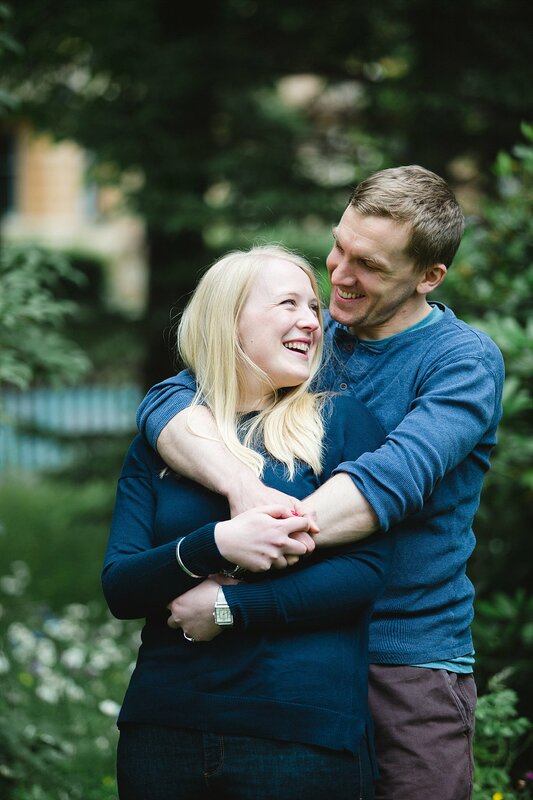 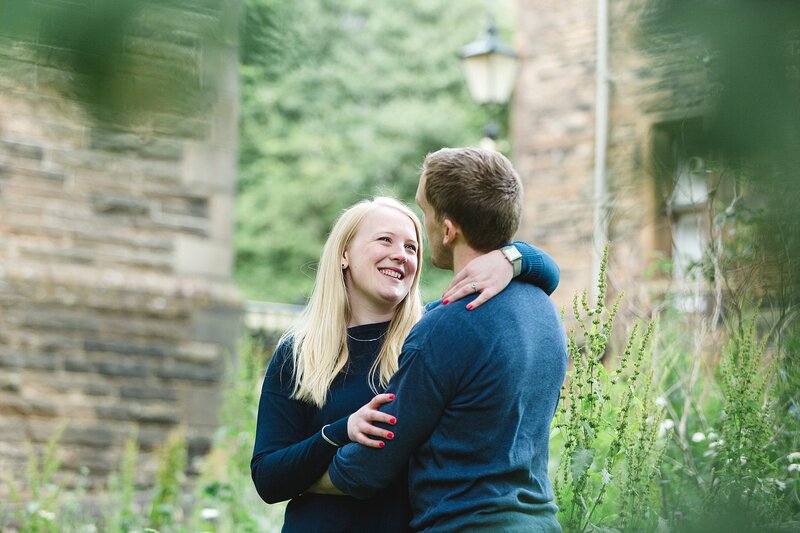 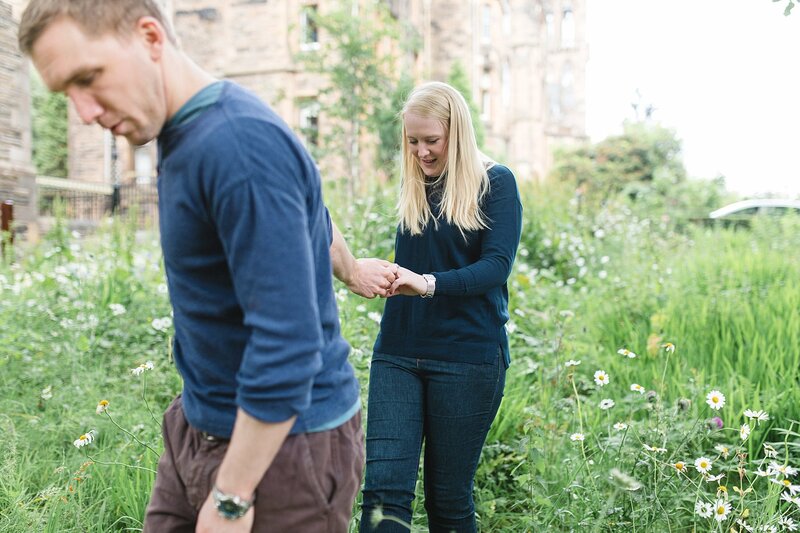 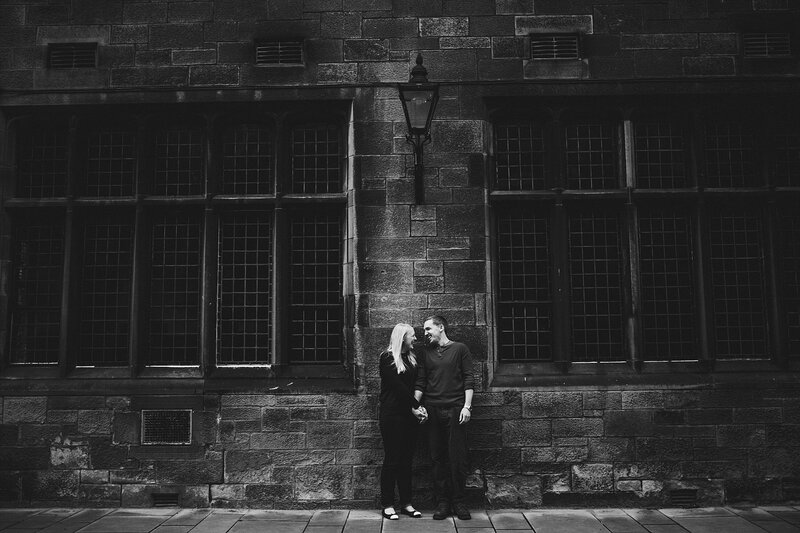 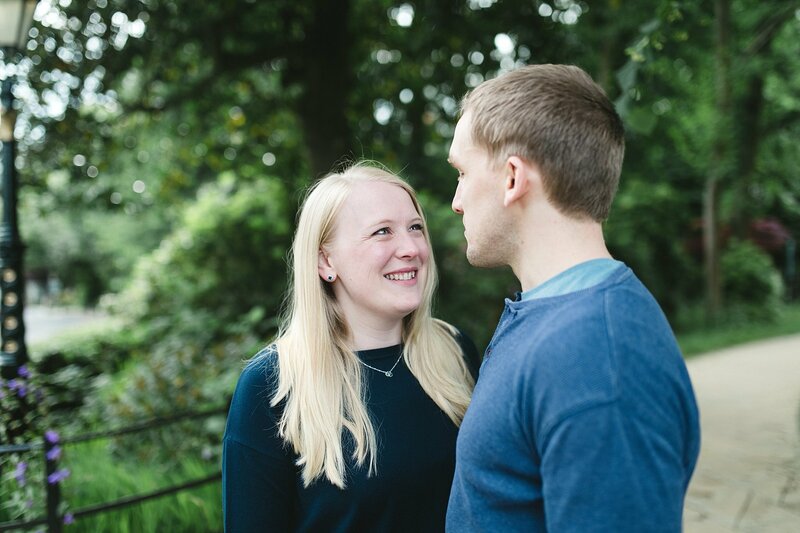 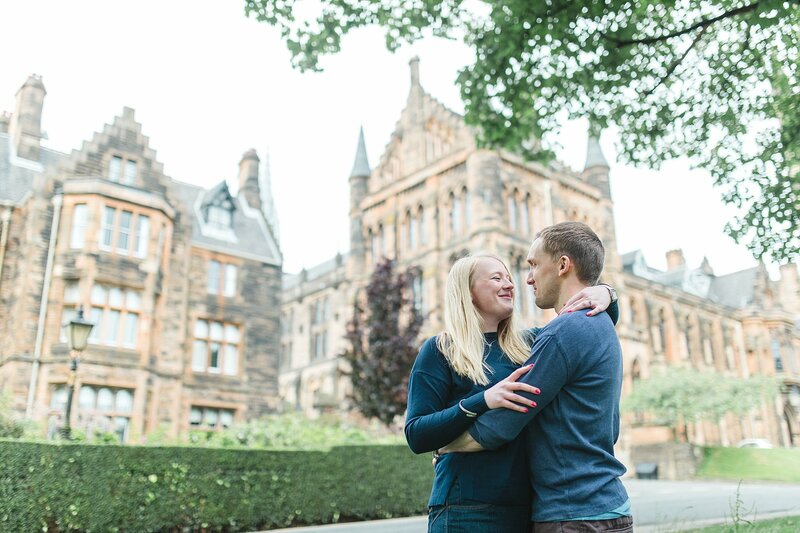 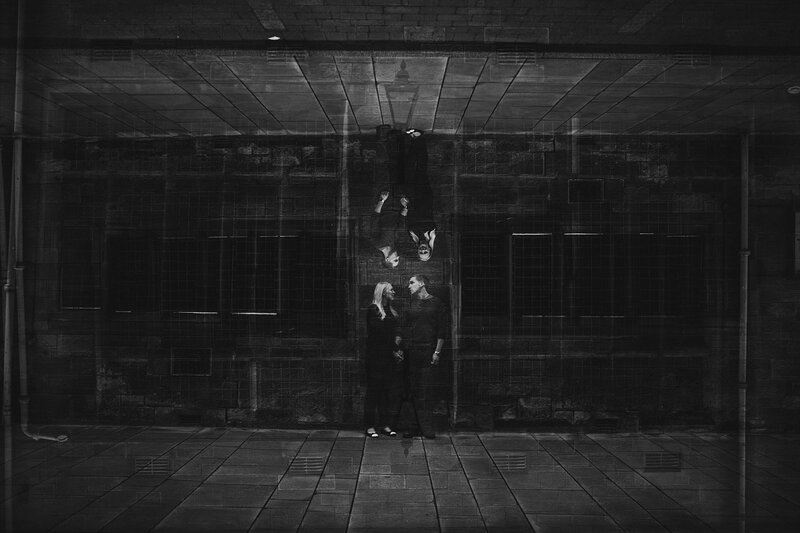 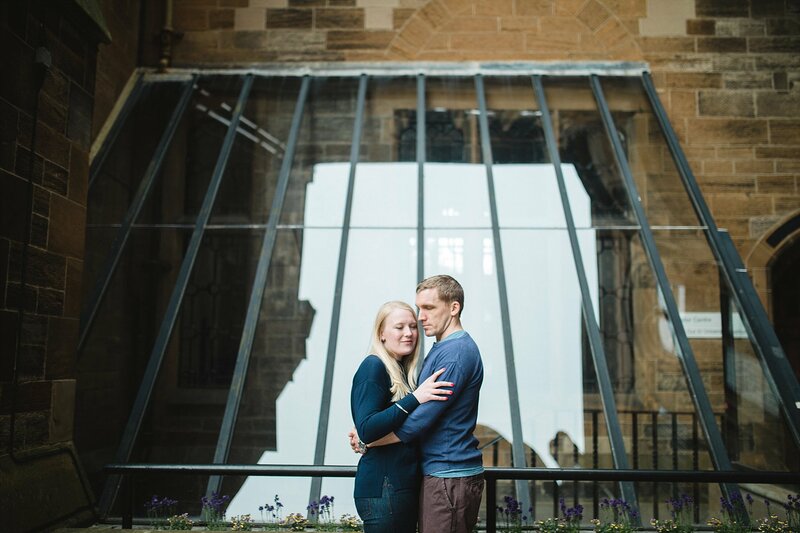 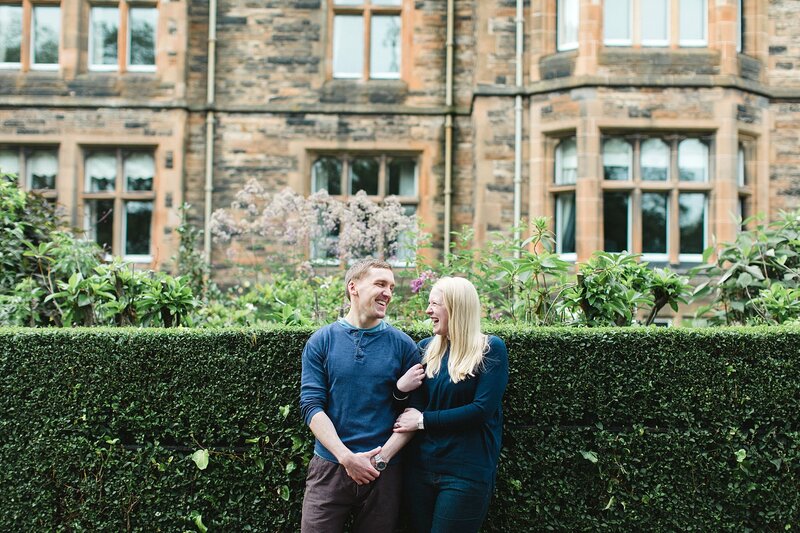 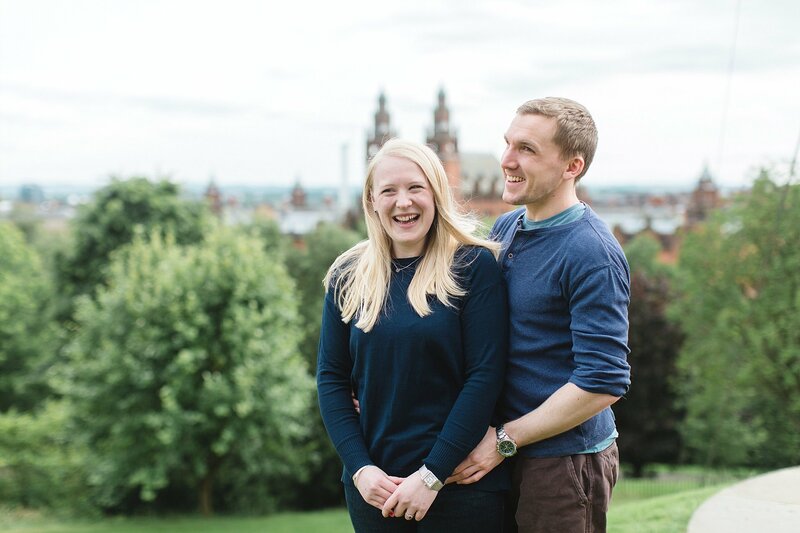 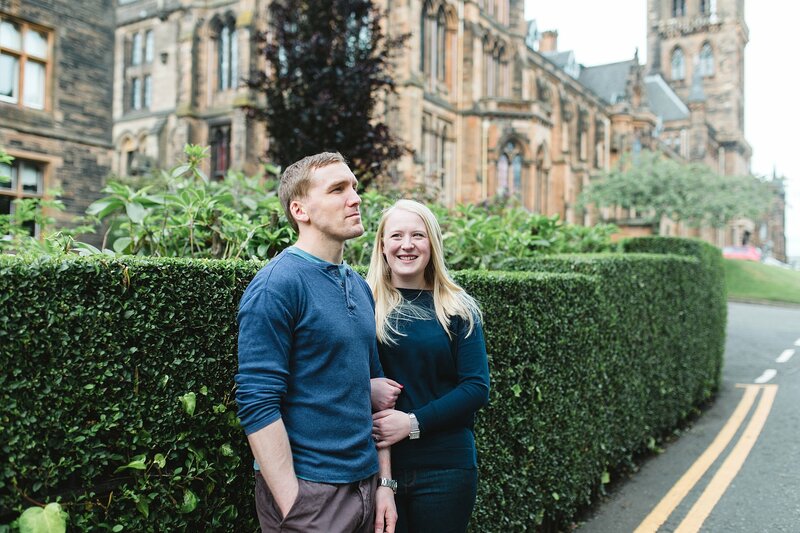 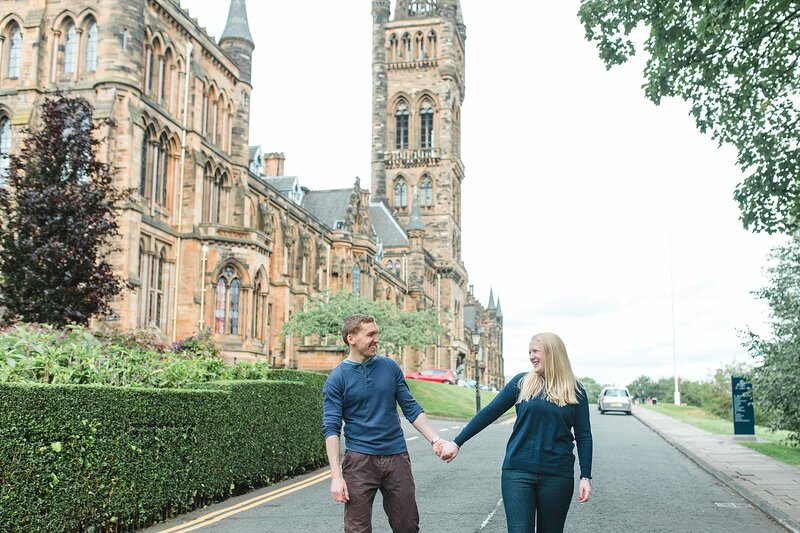 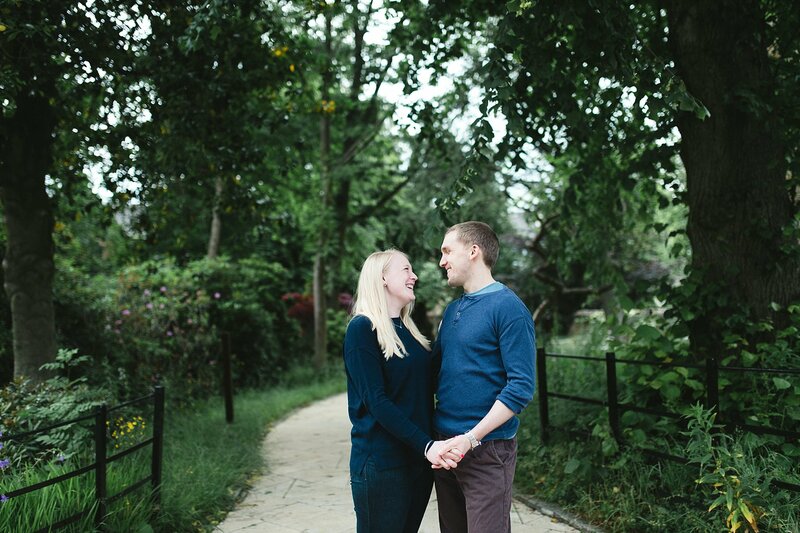 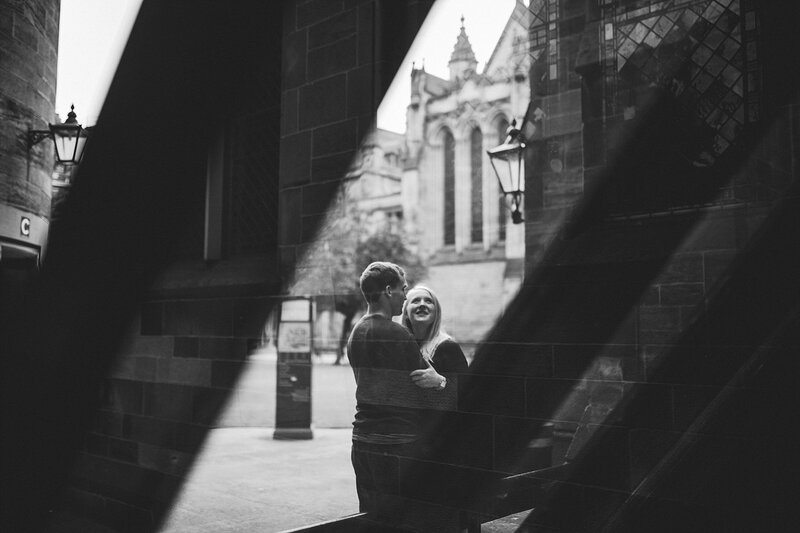 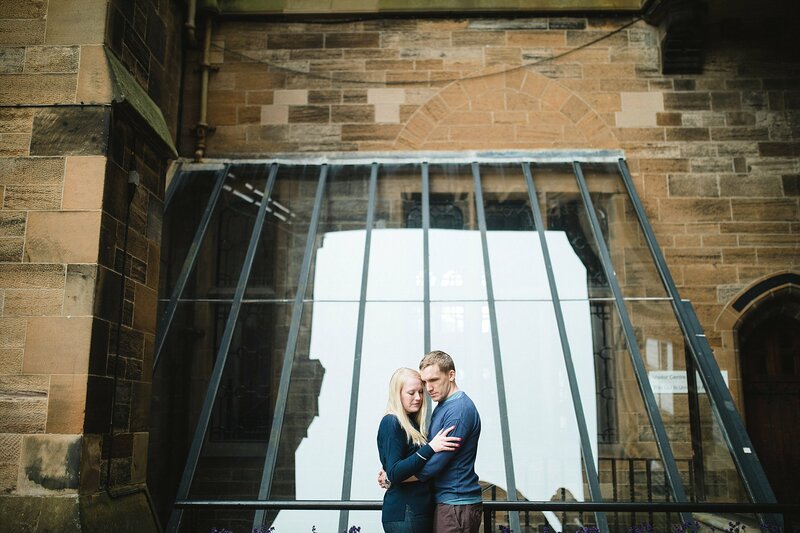 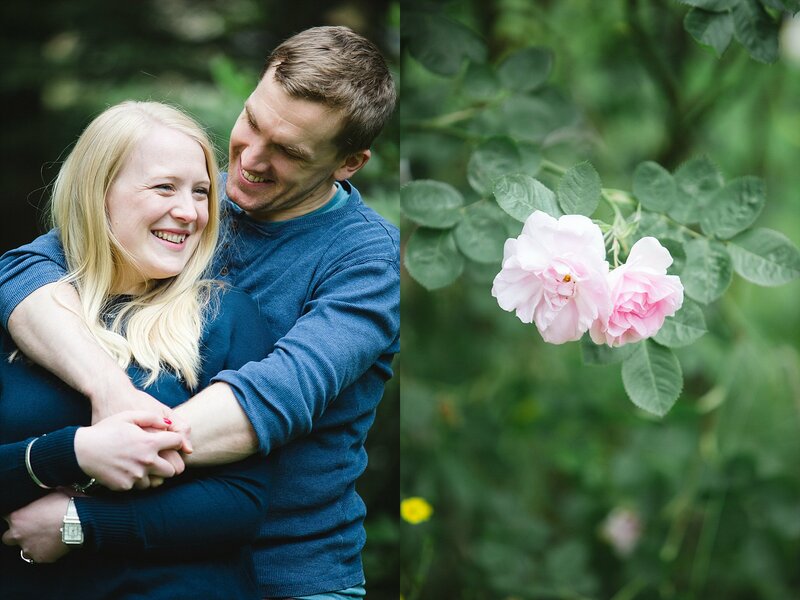 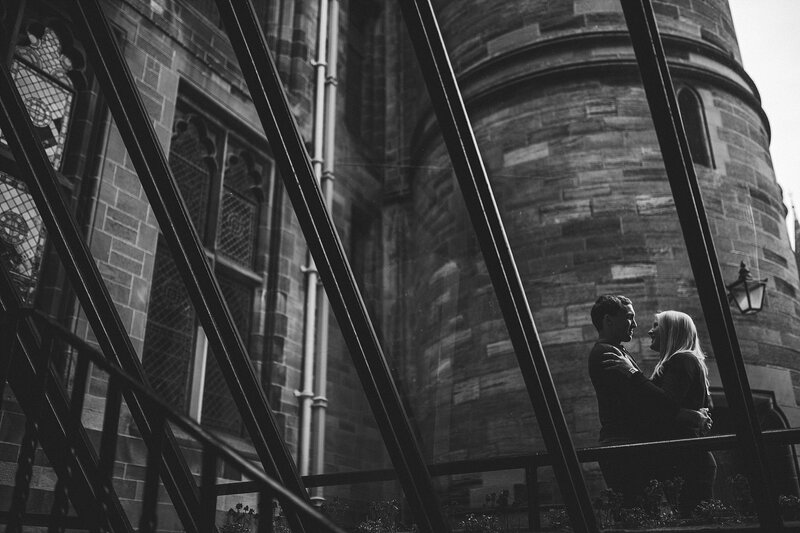 Doing engagement shoots at Glasgow uni is always a sure bet for when there is a possibility of rain. 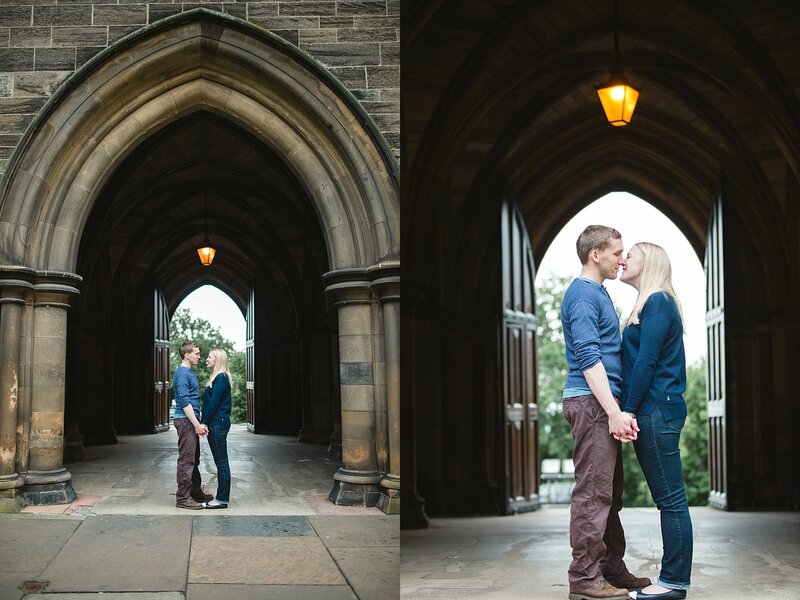 In Emma and Ali’s case though this is where their wedding was taking place. 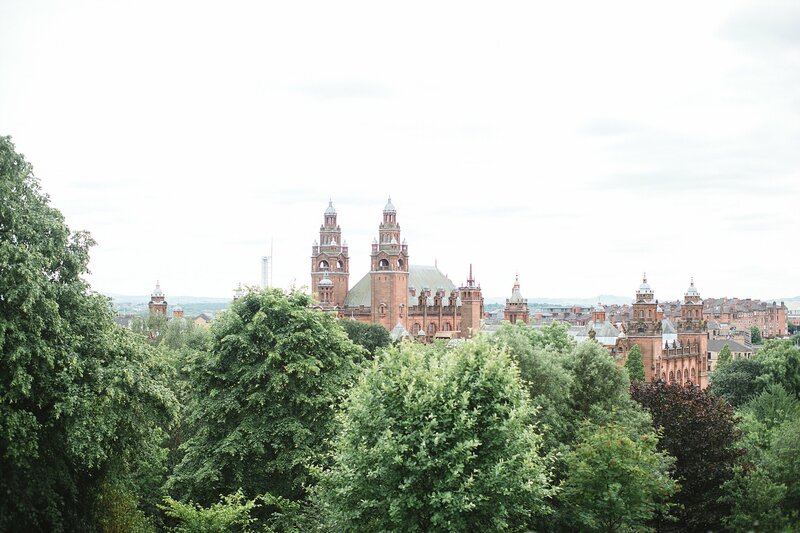 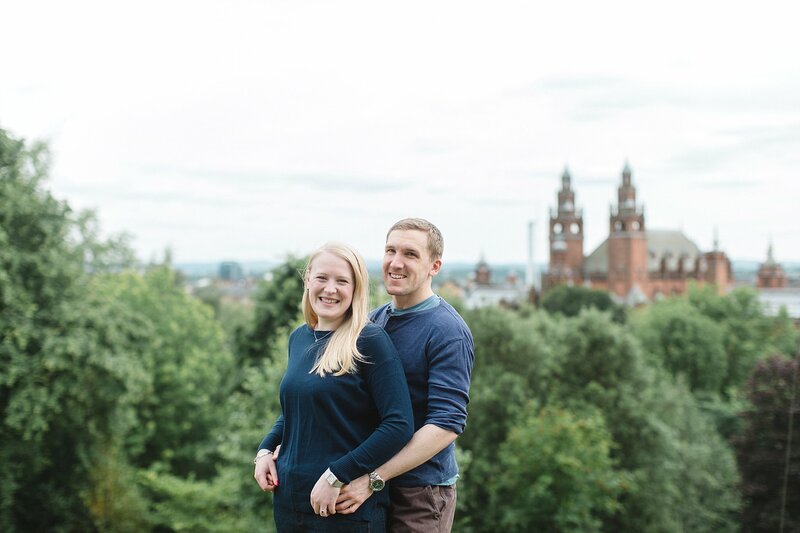 We met them at the flagpole with the backdrop of the Kelvingrove Art Gallery on a beautiful summer evening! 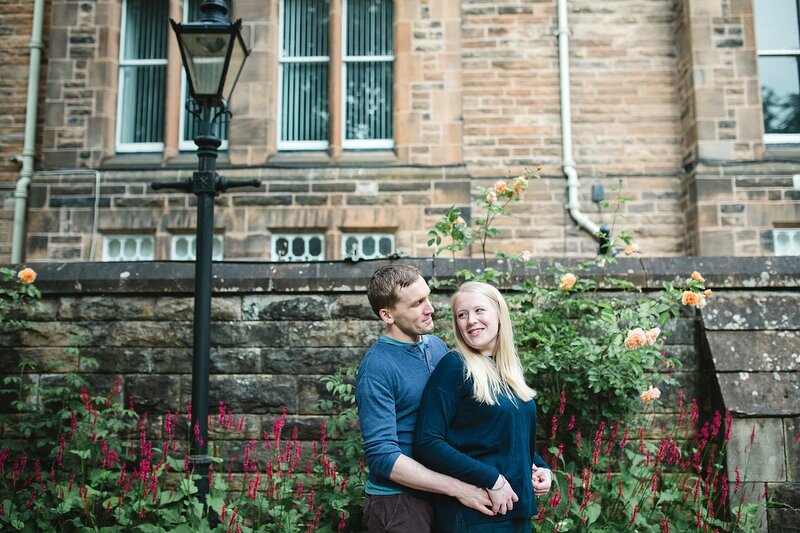 We had such a great time and a laugh with them as we walked around the university grounds. 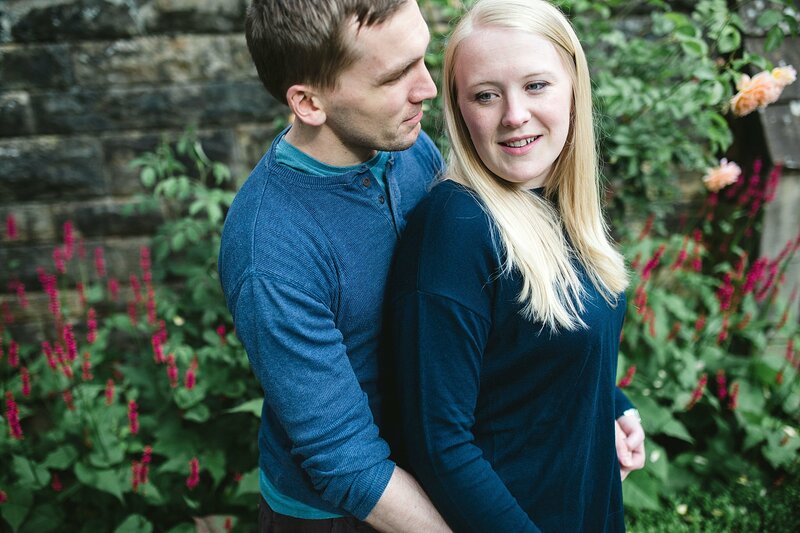 At the end of it, we were even more excited for their wedding day. 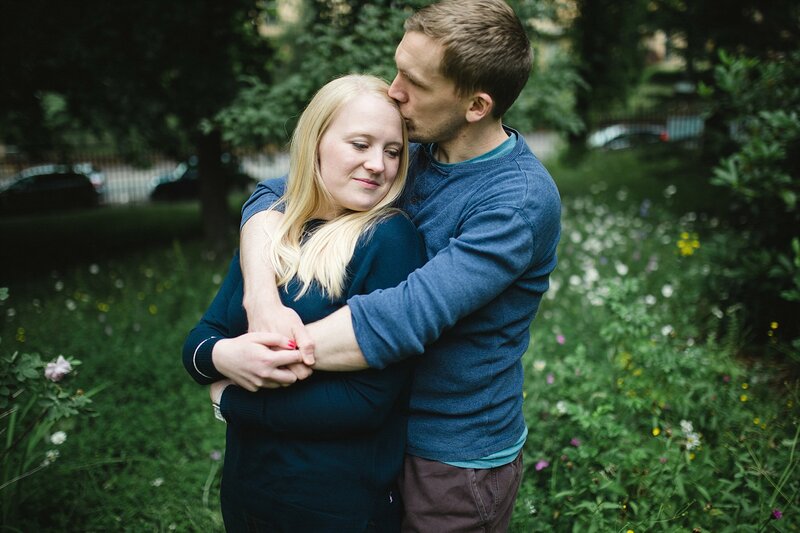 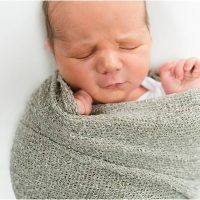 There is something that goes really far about us getting to know our couples. 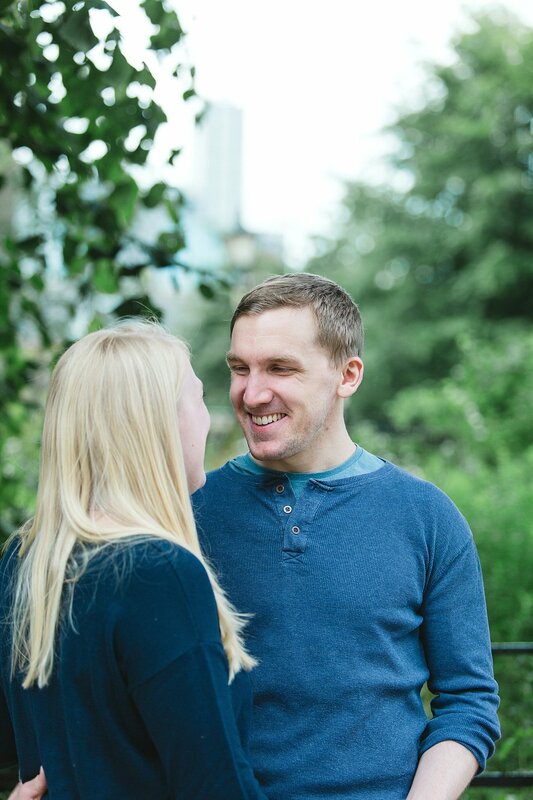 It makes things more personal and down to earth. 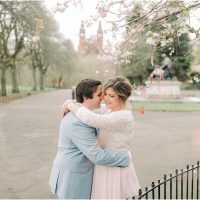 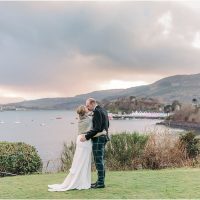 It makes us part of their day as a memory instead of just their wedding photographers which we love! 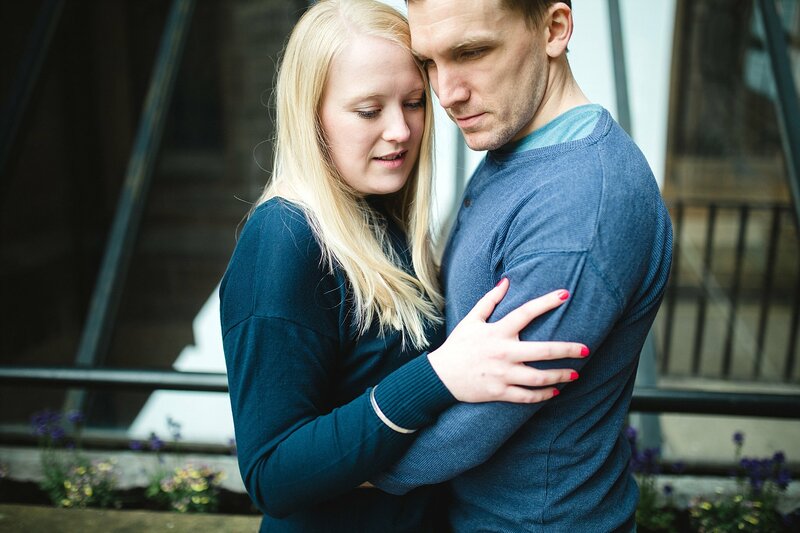 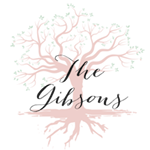 So if you are on the edge and wondering if it’s for you we would highly recommend it!